The shiny, new Samsung Galaxy S9 and Galaxy S9+ are the hottest phones on the block right now. After months of anticipation, the phones were finally revealed at MWC in Barcelona and will be hitting store shelves on March 12th. So, if you're thinking of picking one up, it's worth taking a deeper look at some of the features that the new Galaxies have to offer. 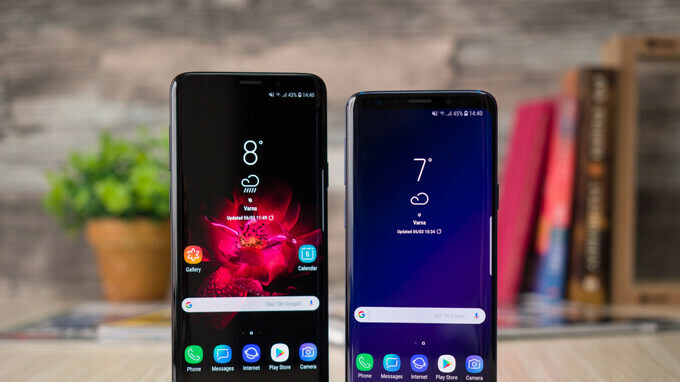 The Galaxy S9 and S9+ are both largely a refinement of an already established formula, rather than a paradigm shift, but nonetheless pack a handful of welcomed improvements and new features of their own. If you want to learn about the best new bells and whistles of the S9 models, check out this story. But without further ado, let's take a look at some productive ways to make the most out of this new Galaxy S9! If you want to shoot in the brand new, super slow-mo video mode, fire up the camera app on your Galaxy S9 or S9+ and swipe until you get to "Super slow-mo mode". Then simply tap the record button if you want to let the phone automatically detect motion and apply the effect on its own, or select manual if you want to choose when the slow-mo effect should kick in. Another new video feature on the S9/S9+ lets users shoot super crisp videos at 4K/60fps. To enable this mode, open the camera app, tap "Settings", and select Video size > UHD (60 fps). Keep in mind, however, that recording time is limited to 5 minutes in this mode. The narrower screens on the S9 and S9+ are not that hard to reach and handle with one hand, but if you want an even smaller display, you can enable one-handed mode. To do that, go into Settings > Advanced Features > One Handed Mode. Once that's enabled, you can tap the Home button 3 times quickly to reduce the screen size. Go into Settings > Display > Navigation bar > Button Layout, and select one of the two: Recents - Home - Back, or Back - Home - Recents. Long press on the Home screen > Home screen settings > Apps button, and select whether you want to hide or show the button. This one is simple and it's useful. If you want apps in your app drawer to be arranged not in the chaotic order of last downloaded, but instead in much more logical alphabetical order, open the app drawer and tap on the three dots at the upper right. There, select Sort and tap on Alphabetical order. And you're done. Go into Settings > Display > Edge screen > Edge panels, and select On or Off. Once the Edge panel is enabled, you swipe on the little Edge hint on the side and go into settings by pressing the gear icon at the bottom. On the next screen, tap the three buttons > Handle Settings, and select whether you want the edge panel on the left or the right. You can also customize the size of the edge panel and its transparency. If you want to extend the battery life of your phone, you can do so by enabling power saving mode. To do that, go into Settings > Device maintenance > Battery, and select Mid or Max. Max is a very radical change that disables most of your apps and leaves you with a black screen with only a few applications, but allows your phone to last for hours on a single digit battery percentage. Most people, however, would prefer using the Mid option that decreases brightness, limits your CPU a bit and turns off things like Always On display. Screenshots are a great and easy way to share something cool that you see on your phone. You take a screenshot on the Galaxy S9 by simultaneously pressing the power/lock key and the volume down button. But you can also take 'scrolling screenshots' on the S9: take a regular screenshot and press on the scrolling screenshot button at the bottom. With every press you will capture more of the screen: perfect for webpages or long lists. If you want to enable a second shutter button in the camera app, which can come in handy when holding the phone at a weird angle, fire up the camera app and go to Settings > Floating Camera button. Once the switch is toggled, a button will appear over the viewfinder, which you can use to take pictures. You can also move it around the screen. Edge lighting was one of the cooler features of edge-toting Galaxies, and while the S9 has a very subtle curve to its edge screen, so it's very hard to see the actual effect, you might still want to have it on. You enable it by going into Settings > Display > Edge Screen > Edge lighting. Here you can either press the toggle to always enable it or disable it, or you can long-press the edge lighting tab and go into more detail. There, you can select things like show edge lighting when the screen is off or on only.